Overlooking the famed Rittenhouse Square in central Philadelphia, The Rittenhouse Hotel, honored with the prestigious AAA Five Diamond Award for more than 20 consecutive years, is a short walk from the cosmopolitan city’s fine dining venues, upscale shops, and historic attractions. Imbued in timeless charm, the 116-room hotel adds a fashionable, trendy tone to its elegant atmosphere with an urban spa, health club, and Paul Labrecque salon. The full-service wellness facility sets the stage for a sensory experience with chic interiors inspired by the haute couture collections of designers Jean Paul Gaultier and Alexander McQueen; amenities like a VIP suite; innovative workout classes; and advanced spa services that incorporate Tata Harper, Natura Bisse, and Hommage products. Spa visitors have access to the club’s sauna and steam rooms, as well as an indoor swimming pool that opens to a spacious outdoor deck. The Rittenhouse Spa & Club - Hair by Paul Labrecque is an ethereal space dedicated to wellness and beauty. The spa takes inspiration from Jean Paul Gaultier’s fashion collection, as baroque-style interiors juxtapose modern black stone and glass accents; the Paul Labrecque salon uses Alexander McQueen’s wedding dress collection as its muse, incorporating white hues, floor-to-ceiling mirrors, and natural light flooding in from ceiling skylights. The full-service spa occupies 11,500 square feet, with 10 treatment rooms, including a VIP suite for up to eight guests; the latter features luxury relaxation elements like a private bathroom, rain showers, dual treatment beds, and cocktail services. The salon houses 10 styling stations. An extensive treatment list includes the customized Rittenhouse Massage, where a sensory cascade of carefully selected aromatherapy oils blends with various techniques. Additional massage modalities, facials, and beauty services are available, as are specific packages tailored to bridal parties and corporate teams. Men can book services such as the Indulgent Shave, taken in the barber shop. Guests can get their hearts pumping in the 3,000-square-foot fitness center, well-appointed with Technogym strength and cardio workout equipment, a Technogym Kinesis Wall, a Stott Pilates Reformer machine, and RealRyder spinning bikes. As well, a movement studio is available for yoga, Pilates, barre, sculpt & abs, and Zumba classes; personal training is offered for visitors seeking one-on-one exercise instruction. The club’s locker rooms feature gracious facilities such as sauna and steam areas, and guests have access to an indoor swimming pool. Outside The Rittenhouse Hotel, guests can embrace the rich history, culture, and urbanity that make the City of Brotherly Love such a beloved, exciting destination—and there is plenty to explore within a short distance of the property. While many travelers schedule must-visits to landmarks including Independence Hall and the iconic Liberty Bell, guests will also want to stroll through the Philadelphia Museum of Art and the Rodin Museum. Reading Terminal Market, where 100-plus merchants sell fresh produce, apparel, and other goods, is also worth a trip. 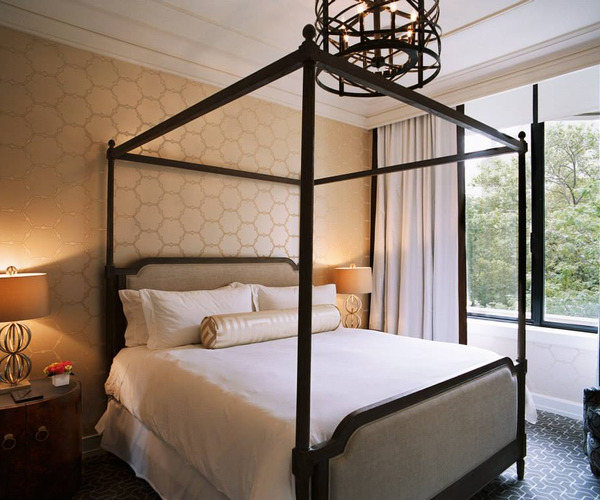 In the 116 spacious guest rooms and suites, neutral, warm shades create a stylishly modern atmosphere, accented by lavish accoutrements and lovely views of the city, the park, and Rittenhouse Square. Accommodations feature marble bathrooms, iPod docking stations, wireless/wired high-speed Internet access, and in some cases, full kitchens, washer and dryer services, and four-poster beds. 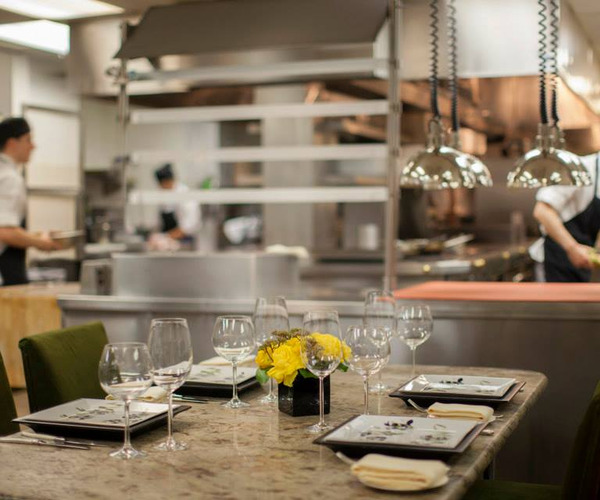 The Rittenhouse Hotel’s dining establishments balance culinary sophistication with convivial hospitality. Sweets and treats paired with international teas and age-old tradition take precedence at Mary Cassatt Tea Room. Library Bar features classic dishes with a modern twist, along with a collection of wines and spirits. Smith & Wollensky steakhouse serves USDA prime steaks, seafood, and award-winning wines in an exquisitely refined setting comprised of polished wood, brass, and fine antiques.